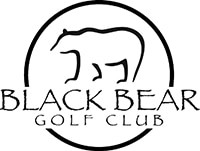 Dustin is PGA director of instruction at Black Bear G.C. and Blackstone C.C. Scott is a PGA teaching instructor at Black Bear G.C. and Blackstone C.C. Ray is a TPI-certified golf fitness instructor and ONE Way® mental fitness expert. Send us video of your swing, chipping stroke or putting stroke and we’ll analyze it for you—providing some helpful tips to correct issues we might see that are keeping you from playing your best. Within 48 hours, you’ll receive a link to your own personalized showcase page that includes our feedback along with the videos you’ve sent us. You can access the page any time. Regardless of your group structure—school team, family, friends, business associates—we can develop a program that fits your requirements. Our staff has helped golfers of all ages and abilities reach their potential in a group setting. Benefit from an award-winning staff that offers proven and innovative golf instruction, fitness training and mental coaching using the latest TrackMan, V1 Sports video analysis and other industry-standard technologies.